I will refuse awards [medals]. 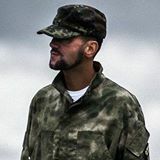 I Mikhail Nikolov, call sign “Lermontov,” Chief of Staff of the 46th Separate Donbas volunteer Battalion of special purpose, of Ukraine, refuse the medal of the Order of Courage, the the medal for taking Lysychansk, the [medal of the] Order of Bohdan Khmelnytsky, with which I was presented a few weeks ago, and also all memorials, badges, letters and other decorations associated with the Ilovaisk boiler, which they are planning to generously bestow on us on its anniversary. 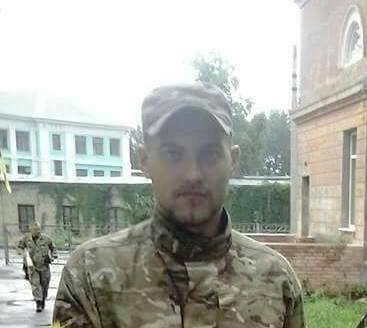 The reason for my decision – is my comrade Andriy Skachkov, call sign “Sam,” a shock trooper of the 2nd Assault Battalion, Donbas Company, with whom I had the honor to fight and share a basement [cell] in Russian captivity, and who remains in captivity a year already. To accept the award while my friend cannot see the sky, my conscience and pride do not allow. It doesn’t fit into my head, as we’re already summing up, rewarding ourselves for territory given up, even conducting peace negotiations with the occupiers, while on the other side, in the basement, Sam is languishing – alone, abandoned and forgotten. Friend, if my words make it to you, remember – you are not forgotten. So far, we don’t have the ability to pull you out of there, we are just soldiers and army officers. But we will do everything for you to be free. This entry was posted in "Voices" in English, English, Eyewitness stories, Pictures, South&Eastern Ukraine, War in Donbas and tagged #FreeAfanasyev, #FreeChiygoz, #FreeDegermendzhy, #freekohver, #FreeKolchenko, #FreeKostenko, #FreeSam, #FreeSavchenko, #freesentsov, #RussiaInvadedUkraine, #StopRussianAggression, #UkraineUnderAttack, Ilovaisk. Bookmark the permalink.